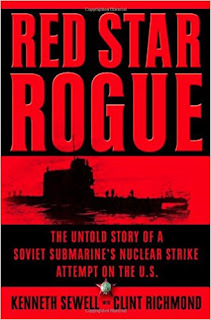 This extremely interesting book looks at an incident in which a Kilo-class Soviet ballistic missile submarine sank in 1960 a few hundred miles from Hawaii. Piecing together public information and some classified information Mr. Sewell argues that this submarine was actually lost during a rogue attempt to launch a nuclear missile at the United States and he makes a very compelling case. Unfortunately, most historians simply see this incident as an unfortunate accident and the photos and physical evidence which would prove (or disprove) that theory is still classified or in secret storage somewhere. Definitely glad I read this!